paperweights in general. The book includes many wonderful detailed photographs of paperweights and a substantial section describing the process of making paperweights. There is a discussion of classical weights and also the modern weights made by St. Louis. The correct name for St. Louis is Cristalleries de Saint Louis. It was founded in 1767 and started making glass paperweights in 1845 at the start of the classic period of paperweight making. One of the more personal sections of the book is the discussion of famous collections. Ingold describes collections and collectors and offers a personal history of collecting. He includes sections on Colette, the French author of romance novels, and her collection. Also included is the wonderful short essay by Truman Capote "The White Rose," in which he describes a visit with Colette as a young man seeking literary guidance and how he became so entranced by the paperweight collecting that he never discussed literature. He was rewarded for his interest by the present of a white rose paperweight. The book includes a complete illustrated listing of special edition weights for the period between 1970 and 1981. The listing gives the original issue price and edition size for these weights. It also lists the portion of the edition reserved for the US market. The second edition of the book includes more weights but does not give the issue price or US edition size. 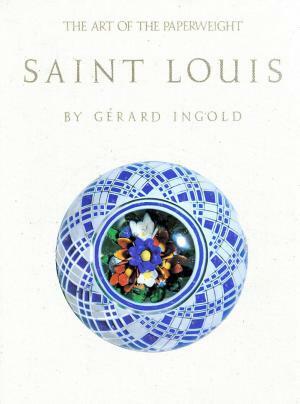 At the time he wrote this book, Gerard Ingold was Manager of Sales for St. Louis. He also served as one of the directors of Cristalleries de Saint Louis for many years. He worked for St. Louis as an executive since 1949 and is also a long time collector of paperweights. 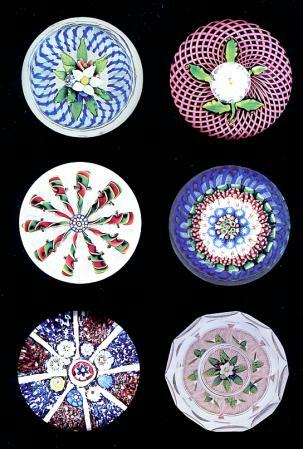 He was instrumental in bringing about the twentieth century paperweight renaissance. 115 pages with over 200 color photographs. Hard bound in gold stamped linen.